G.B. Pant National Institute of Himalayan Environment & Sustainable Development (GBPIHED), Kosi-Katarmal Almora has released the advertisement for the recruitment of Project Scientist, Research Associate/Technical Expert, Scientist Fellow, JPF, Field Assistant, and Data Entry Operator for various projects. Total No. of Post is 11. These posts are purely on a contractual basis. Desirous candidate may appear for Walk in Interview on 15 April 2019 (10:00 AM onwards). Candidates appearing Interview should submit an application, bio-data along with relevant documents and produce certificate/testimonial during the interview. Age Limit: 40 Years Ph.D. degree in Botany/Forestry/ Environmental Sciences with 5 years experience in medicinal plants research. 1. Experience of data analysis and report writing and knowledge of using computer software. Age Limit: 35 Years Ph.D. degree in Management, agri-business, agri-economics, or other relevant streams with specialization in medicinal plants research. Those who have submitted Ph.D. may also be considered 1. Experience of working in hilly areas particularly for field survey and data collection of medicinal plants. Age Limit: 40 Years Ph.D. 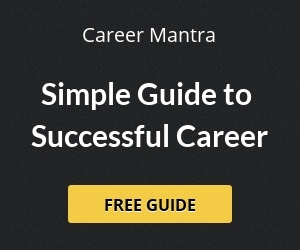 Degree in Environmental Science/ Geography/ Geology/ RS&GIS/Forestry/Life Sciences (Botany/Zoology) Experience of working in the hilly region of the Himalaya. Preference will be given to the candidates having work experience in the field of RS&GIS. Age Limit: 28 Years First Class Masters degree in Botany/Forestry/Environmental Science Experience of working in the hilly region of the Himalaya. Age Limit: 28 Years First class Master degree in Physics/Chemistry/ Environmental Science. Pay: @ Rs.16000 PM + HRA; initially for one year extendable on performance. Age Limit: 28 Years First class Masters degree in Botany/Forestry/ Environmental Science with consistently good academic records 1. Extensive field survey and monitoring for establishing restoration models. Title: Long term ecological monitoring in western Himalaya and knowledge generation for decision making. Pay: @ Rs.10000 PM fixed. Age Limit: 40 Years Intermediate (Preferably Science) with 3 years experience in field/ laboratory work 1. Experience of working in Himalayan Region with any established laboratory. Selection of candidates will be based on their performance in Walk-in-Interview. Interested candidate may appear for walk-in Interview on 15 April 2019 at 10:00 AM at G.B Pant National Institute of Himalayan Environment & Sustainable Development, Kosi-Katarmal, Almora 263643 (Uttarakhand). The candidate appearing for interview should submit an application, bio-data along with relevant document and produce original certificates/testimonials during the interview. 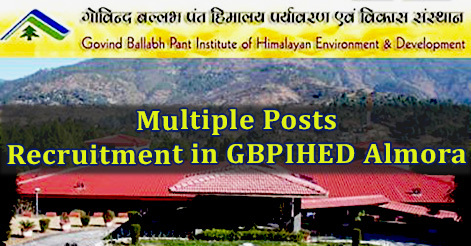 Help us to improve this article/job posting "Multiple Post Recruitment in GBPIHED Almora". We would be glad if you can comment below and provide your valuable suggestions and feedback. If this page have any wrong information/list or out of context content, then you can report us as well. I have 5 year job experience in companys line and 1 year himalayaan field experiance my 5 year experiance will count or not?? Can I apply for both? ?